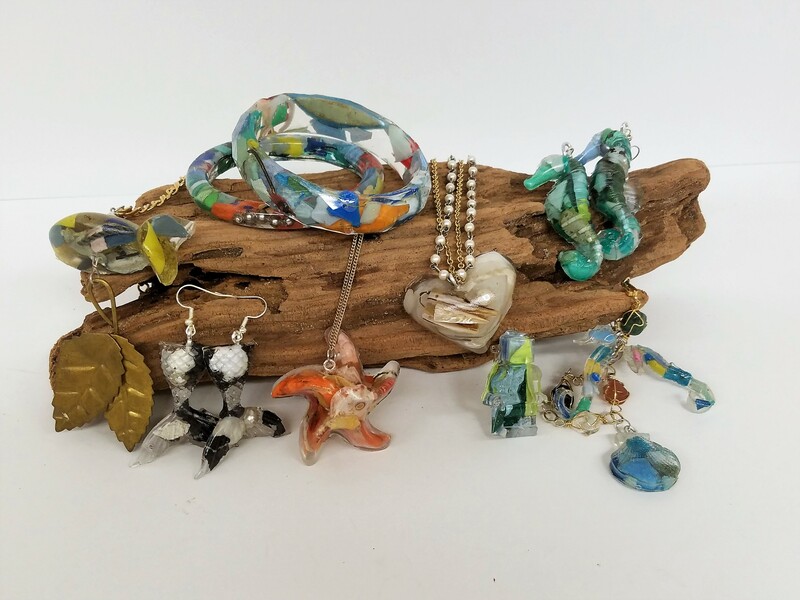 The Haystack Rock Awareness Program has created a wearable art jewelry line crafted from marine debris named “Trash Talk,” intended to support our program and spark conversations that lead to more environmental stewardship. Frequently, people ask how they can assist our program’s stewardship efforts beyond volunteering or donating financially. This new project is a great way anybody can help support us on their own time. Nearly every beach in the world has micro-plastic landfall. 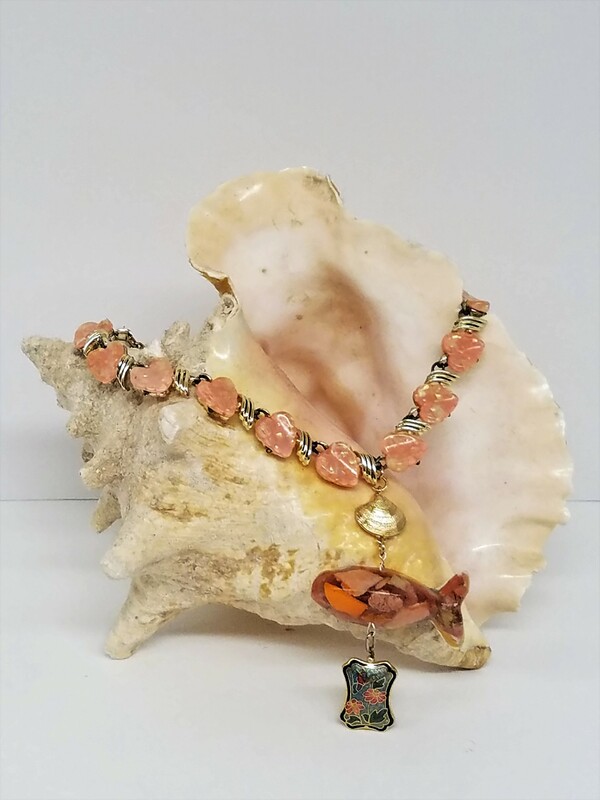 Participants in this project are invited to collect micro-plastics (small plastic trash that washes up on our beaches), and donate it to our program to be repurposed into wearable art jewelry. Not into collecting beach debris? Not a problem! We are also accepting donations of old or broken jewelry that will be reused in these new pieces. 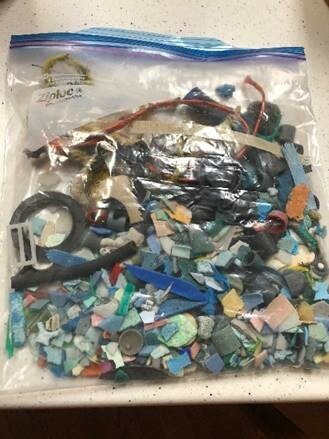 Micro-plastic collections and old, broken jewelry should be placed in a bag or container and left in the garbage bin labeled “Haystack Rock Awareness Program Marine Debris,” located at the back entrance of Cannon Beach City Hall next to the dumpster. In your bag, please include your contact information so we can send you a thank you and a small wearable bottle filled with some of the Marine Debris. One gallon of beach Debris is sufficient material to host 2-5 workshops, make over 30 pieces of jewelry or one 12×12 art piece. The funding received through this project supports HRAP’s ongoing efforts to provide high quality STEM, STEAM, and Citizen Science programs, and to spread awareness to a diverse multitude of visitors- positively impacting our community. The Haystack Rock Awareness Program (HRAP) is a stewardship and environmental education program in Cannon Beach, OR. For more information, visit http://www.ci.cannon-beach.or.us/hrap. For questions or comments about the Trash Talk project, contact Pooka Rice, Haystack Rock Awareness Program Outreach Coordinator at 503-436-8079 or lrice@ci.cannon-beach.or.us.